William Lyall was born June 11, 1811 in Paisley, Scotland. He was educated at the universities of Glasgow and Edinburgh, where he developed an interest in philosophy. 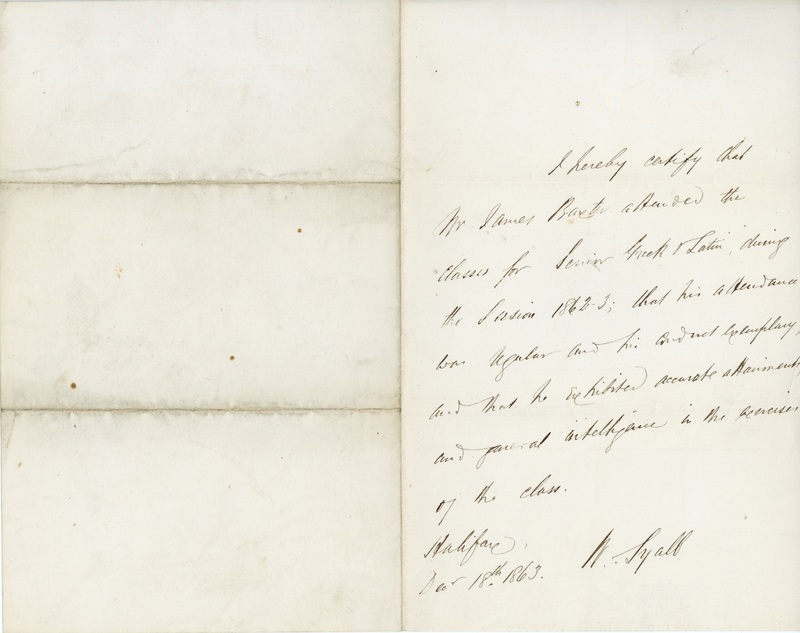 Lyall was an ordained minister of the Free Church of Scotland and served several congregations before immigrating to British North America in 1848. 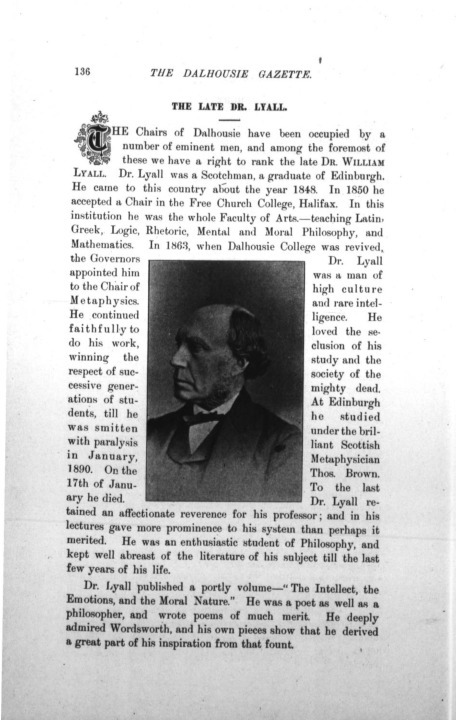 Lyall was known as a student of the “philosophy of common sense” and viewed philosophy and theology as inseparable. He published Intellect, the emotions, and the moral nature in 1855, which was one of the first Canadian books in this field. 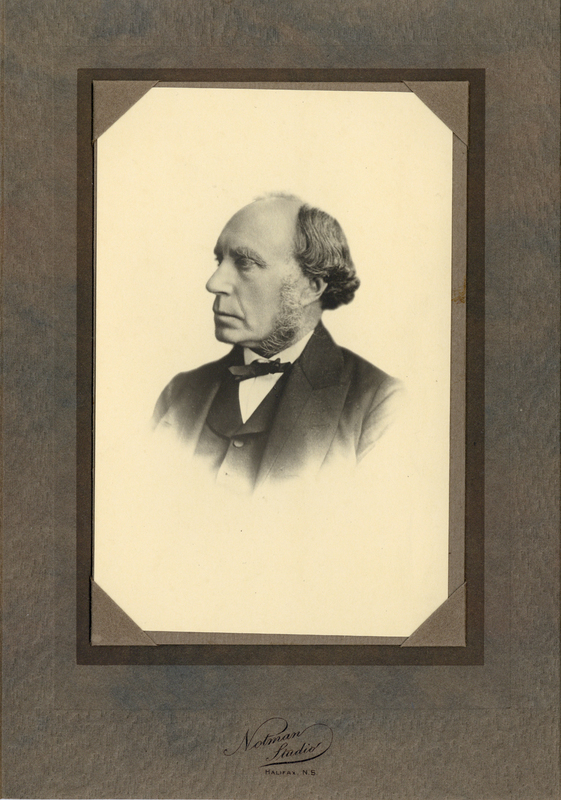 After immigrating to British North American, Lyall taught at Knox College in Toronto, the Free Church College in Halifax, and the Theological Seminary in Truro. 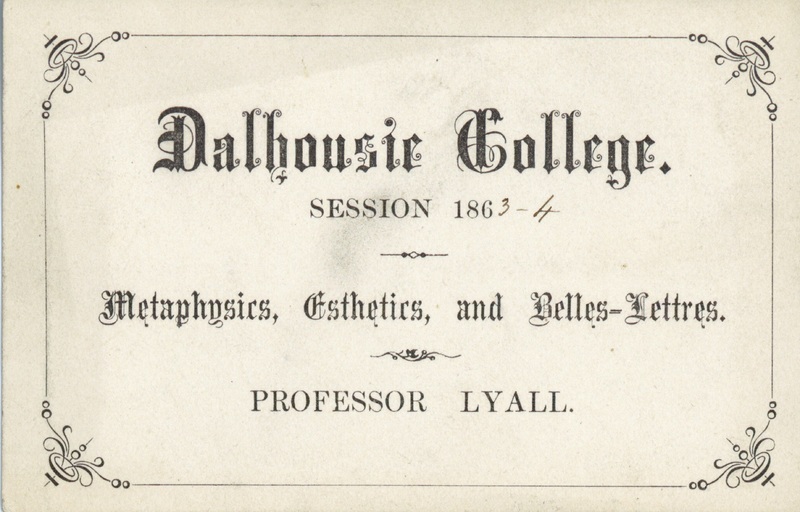 Lyall was one of six professors appointed at Dalhousie College when it reopened in 1863, as professor of metaphysics. Lyall remained at Dalhousie until his death in 1890. William B. Hamilton, “LYALL, WILLIAM,” in Dictionary of Canadian Biography, vol. 11, University of Toronto/Université Laval, 2003–, accessed September 18, 2017, http://www.biographi.ca/en/bio/lyall_william_11E.html.